Say what you will about the man or his work, but Jeff Koons is the greatest artist who has ever lived. To promote his emblematically titled retrospective at The Whitney, Jeff Koons: A Retrospective, Mr. Koons sat down for a brief interview with BPoFD‘s resident art critic, Carmen Petaccio. Given Mr. Koons’s supreme eloquence and depth of knowledge, the interview spans a world of topics including life, art, and what it means to have your work called “the apotheosis of Walmart.” Jeff Koons: A Retrospective is on display at The Whitney Museum of American Art though October 19th, 2014. BPoFD: Mr. Koons, thank you so much for talking to us. Koons: Art is whatever you want it to be. BPoFD: Well said. You’re obviously an incredibly busy person. How do you still find time to make art? Especially when so many of your pieces operate on such a large scale? Koons: I find time to make art by not actually making art. BPoFD: That’s an interesting way to think about it. Could you elaborate on that idea? Koons: Personally, I haven’t made any of the art that carries my name in decades. All I do is come up with the original idea, write it on a Taco Bell napkin, and pay a team of failed artists to make the physical piece for me. BPoFD: So technically, you don’t make art at all? Koons: Not in the least. BPoFD: Only Taco Bell napkins. Koons: You’ve got it. You decide what art is. BPoFD: Outside of Taco Bell, where do you find inspiration? Koons: Inspiration is all around us. Art is whatever you want it to be. BPoFD: Could you be a little more specific? BPoFD: All of your inspiration stems from Marcel Duchamp? BPoFD: You draw most of your inspiration from Marcel Duchamp and readymade art? BPoFD: Should we just move on? Koons: I know who Marcel Duchamp is. BPoFD: Let’s discuss specific pieces. Maybe that’ll work better. What was the inspiration behind “Balloon”? 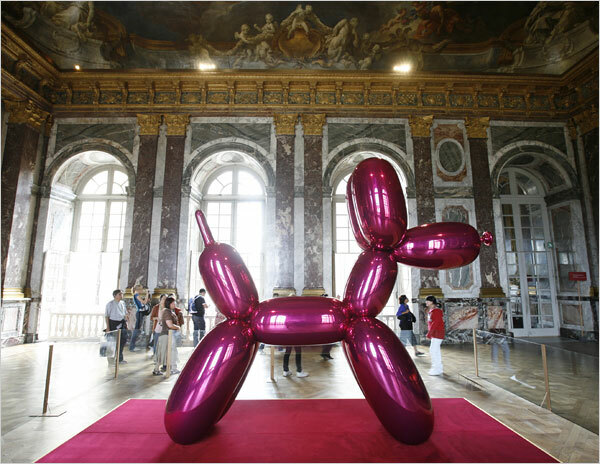 Koons: The inspiration for “Balloon” came purely from my childhood. Childhood is whatever you want it to be. I went to a friend’s birthday party in elementary school, Billy Balloon. Koons: William Balloon, I suppose. Anyway, there was a birthday clown at the party, Doodles. That was my first exposure to balloon animals au courant. Koons: I know French stuff. BPoFD: Why not. Did you intend the size of the piece to represent the enormous space childhood experience occupies in the adult psyche? Koons: My only intention is to make the observer feel. Koons: Anything. Everything. Nothing. Always. BPoFD: Is feeling whatever you want it to be? Koons: I couldn’t have said it better myself. BPoFD: You’re one of the most critically divisive artists currently living. How do you deal with criticism? Koons: I deal with criticism by making art that can’t be criticized. 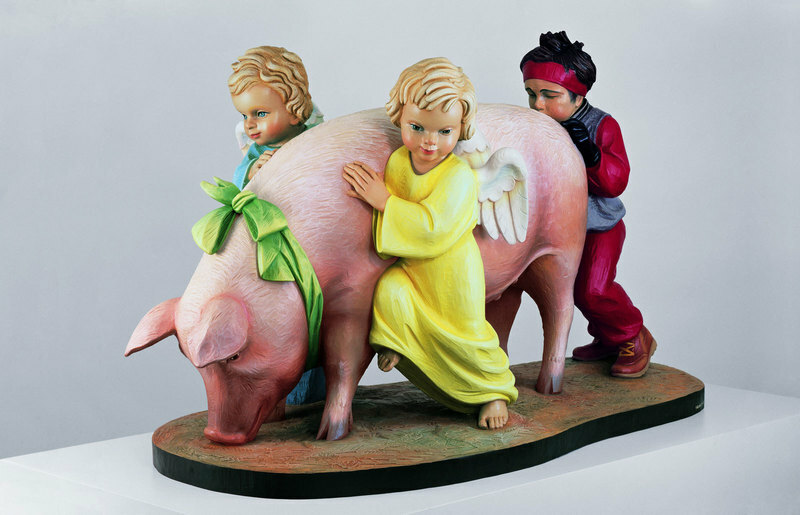 Koons: Are you familiar with the idea of “post-critical” art? BPoFD: I don’t think that’s a thing. Koons: It is. I make it. It’s my thing. It’s very much a thing. BPoFD: You believe that your art transcends criticism. BPoFD: Please, Mr. Koons, tell us what Duchamp quote explains “post-critical” art. 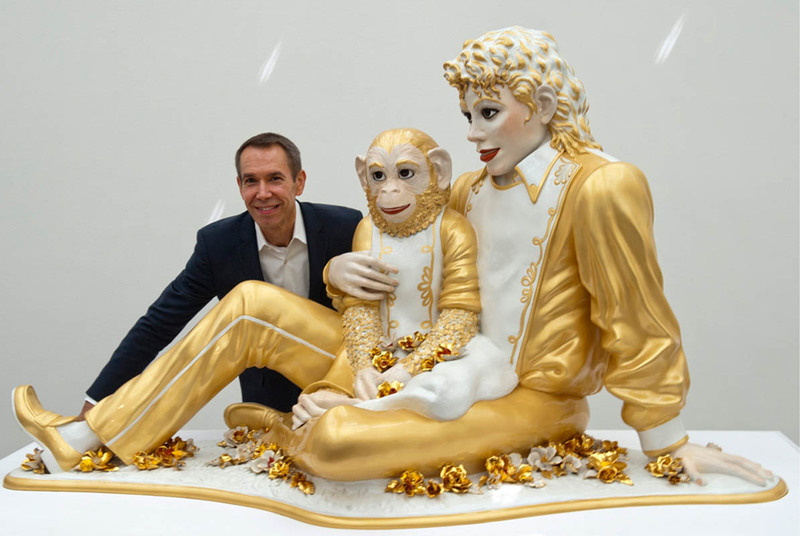 BPoFD: Mr. Koons, are you all right? BPoFD: Mr. Koons, is that liquified brain leaking out of your nose? BPoFD: Well, thanks again for the interview. Koons [ecstatic]: You’re so welcome. Interviews are whatever you want them to be.